Our experts are here to help you. 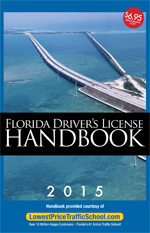 Handbooks are shipped via first class mail and should arrive within 3-5 business days. For payment by check or money order, your handbook will be shipped after receipt of payment. on the front of your card. LowestPriceTrafficSchool.com is an authorized payment processor. This credit card transaction will appear on your bill as "LowestPriceTrafficSchool.com." Please click "Submit" to complete your order.